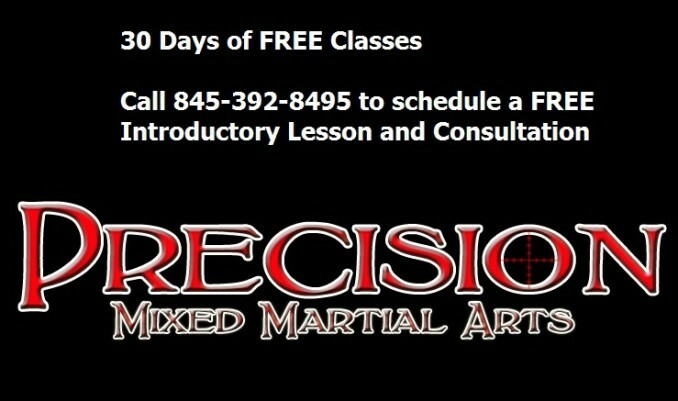 At Precision MMA, we strive to help our students benefit from our classes in ways that don’t just apply to MMA. Ultimately, the instructors and the parents of the students have the same goal, to help them succeed in life. Instructors develop a unique relationship with students that allows them to communicate on a personal basis that and profoundly effects the child. A unique aspect of Precision’s kids martial arts program is that we ask to see each child’s report card in order to ensure that the lessons we instill in them are carrying over to their academic lives. We incentivize high performance by providing rewards to honor roll students or those who show improved grades. Recently, we noticed that although grades were soaring, attendance was dropping. Precision’s head coach decided to offer free private lessons to any student who had perfect attendance for an entire marking period. The results were seen immediately. As you can see, one of our students had many absences throughout the year. In the last marking period, there were none. This child was absent about 20 times throughout the 3 marking periods. A school day typically lasts for 7 hours. They could have gotten a lot more out of the school year had they not been absent so many times. If this trend continues, they could be missing up to 500 hours of learning time throughout their high school career. This could be the difference between graduating high school, being an honors student, and even attending college. This system teaches the kids the importance of attendance, which will benefit them for the rest of their lives with college, jobs, and more. If your child needs that extra push to succeed, call Precision MMA at (845)-392-8495 or go to lagrangemartialarts.com, they will be motivated in no time! Precision MMA coach Karl “Mr. Fantastic” Nemeth won his 145 pound title fight at Kaged Kombat 23 by second round submission. Karl used his patented “calf slicer” a submission rarely seen in mixed martial arts. Karl’s opponent was a state champion wrestler who had 10 bouts under his belt before entering the cage. Despite the experience gap Karl was able to find the path to victory and bring another MMA title home to Precision MMA – check out the video below!